Please note that payroll is only available with Australian conversions at the moment. 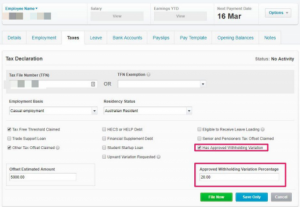 Australian conversions include payroll set up if payroll is active in the MYOB or Reckon file. If you have up to 100 paid employees the cost of setup is fully subsidised by Xero. If there are over 100 paid employees you can receive payroll setup in Xero using our premium ACCELERATE package. Please note that payroll is not currently converted for files other than Australian at the moment. if you select a transactional history conversion service you will receive “paid off” bills which represent the actual payments and transactions processed in your file. This ensures that your general ledger and bank account will match the source file. We recommend that payroll settings and employee information be reviewed following a conversion including entitlements. IMPORTANT NOTE FOR RECKON & QB FILES: Any jobs associated with payroll entries will not come across from the Reckon source file to Xero during conversion. As mentioned above we recommend that you check employee information and Pay Items following a conversion. Often details are missing or in the incorrect field in MYOB or Reckon. Your post conversion Action Checklist will indicate some areas that need to be addressed in Xero. Superannuation information may not be converted. You will need to set these funds up in Xero following conversion. You will need the bank account details, and USI (SPIN) numbers. You may have to do a manual calculation for the payroll on your first BAS. We select the Xero pricing plan based on the number of employees who have been paid in your MYOB or Reckon file in the last 30 days. You will need to contact your Xero account manager if the number of employees exceeds 100. We cannot convert if the number of active employees exceeds 200. If there is no payroll in your file you will automatically receive a Xero “Standard” subscription, as this is the minimum level we can select for you. If you want to change your pricing plan you will be able to do so after accepting the link “Take over subscription” sent to you after conversion. Due to the way payroll is converted you will not be able to retrospectively report STP for payruns prior to the date the file was converted. We have a full explanation as to how to do deal with this in a separate article here. During the process our conversion tool will go through the information in the payroll categories and identify any items that contain the word ‘allowance’. Any items that contain the word ‘allowance’ or “allow” will be set up in Xero as an allowance. If an allowance has been converted to an Ordinary Time Earnings you are able to enter a new Pay item for the allowance and do an unscheduled payrun to correct the amounts for the payment summary. Reimbursements are identified in a similar manner our conversion tool works by identifying any items with ‘reimbursements’ in the title. However, there are some additional rules that the software applies, for example in Xero you cannot set up an hourly rate for reimbursements. If you have a reimbursement set up as an ordinary earnings rate then this will be converted as an ordinary earnings rate. This is a system difference between MYOB and Xero. The conversion tool looks at the frequency of pay for every employee processed in the current month. E.g. If you have only processed one pay, then active employees will be set up on a monthly pay cycle and all will be assigned to that. If your employees are on a forthnightly pay cycle please convert your file after the second payroll for the month. If you have made a whole series of weekly payments then these employees will be put into the weekly cycle. Other systems may not support pay calendars or have other methods. Please check the pay cycles and allocations. If the employee has not been paid in the current month, then they will not be allocated to a pay cycle. We do not bring across any employer expenses. If there are more than 200 paid employees in your file payroll will not convert. Due to the complexities associated with extracting data there may be additional tidy up required in Xero for missing payroll/employee template information. Long service leave is not converted.